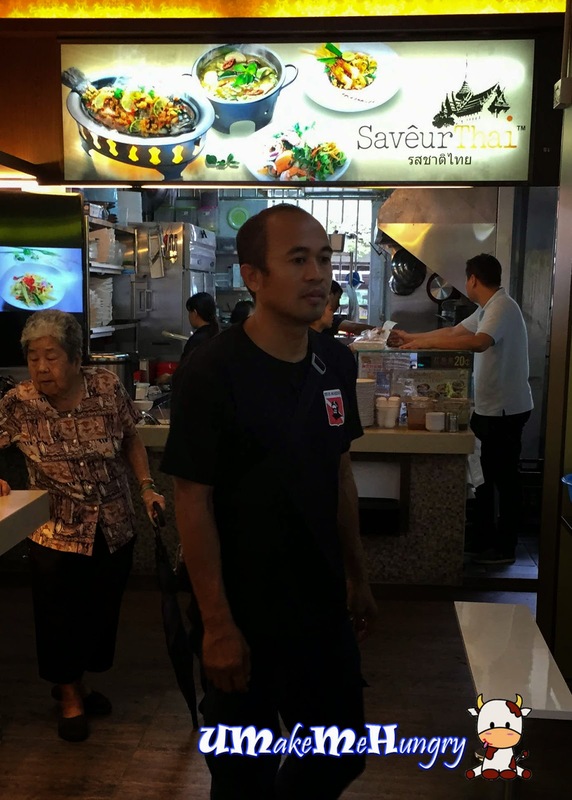 Saveur Thai is located in the renovated Kopitiam in West Coast Drive. Food Loft has taken over the whole coffee shop premises and Savuer Thai is one of their newly joined food partners. 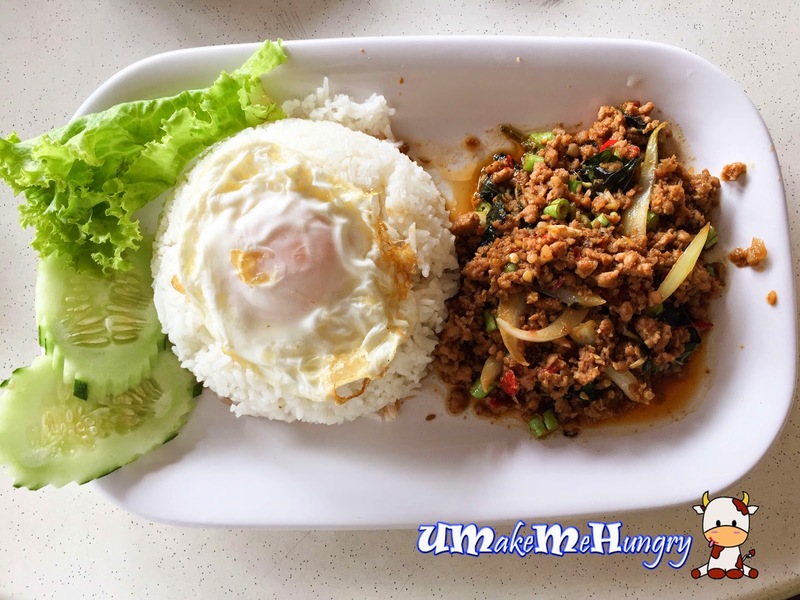 Saveur Thai focus on Tze Char Style food, serving its signature dish such as Tom Yum Clear Soup which is suitable for group sharing over the meals. 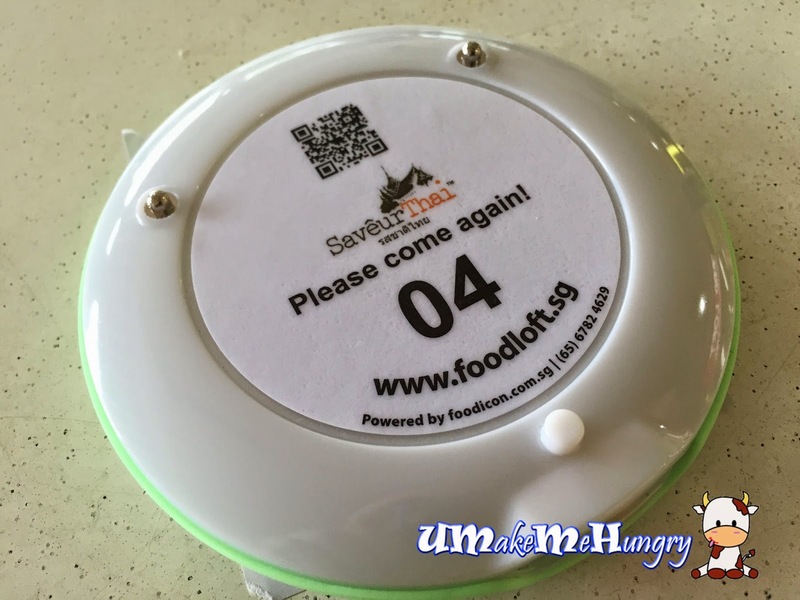 I have noticed that a number of stalls in foodloft are implementing the use of wireless technology into the business by using the food buzzer. Such implementation not only helps to reduce the hungry customers from standing in front of the stall waiting for their food, it has also given the service industry a credit. With a group of helpers in the kitchen, my plate of fried vermicelli was ready within 5 minutes. Vermicelli has the "wok smell" which reminded us the dish was cook under the use of large fire and well controlled without seeing any burn pieces on the plate. 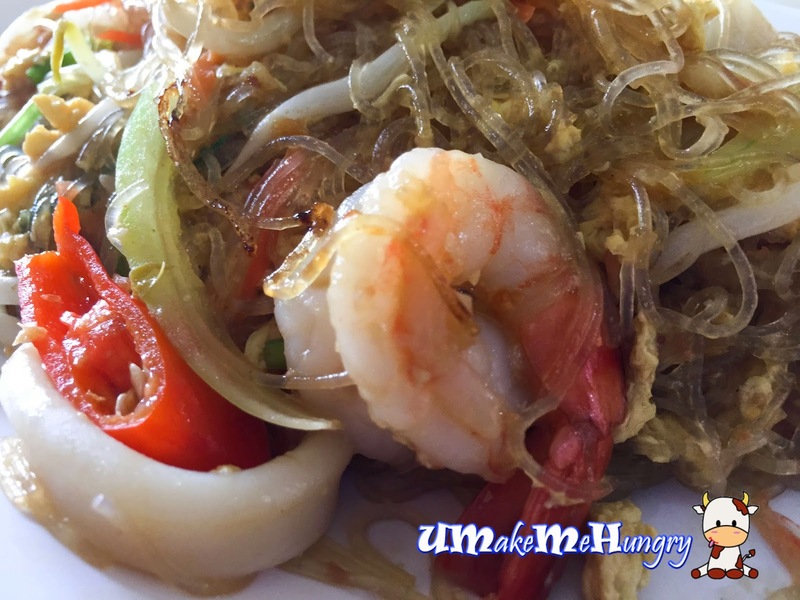 Ingredients like yellow onions, spring onions, eggs, chilli, eggs, tomato, prawns, beansprouts and carrots were used. 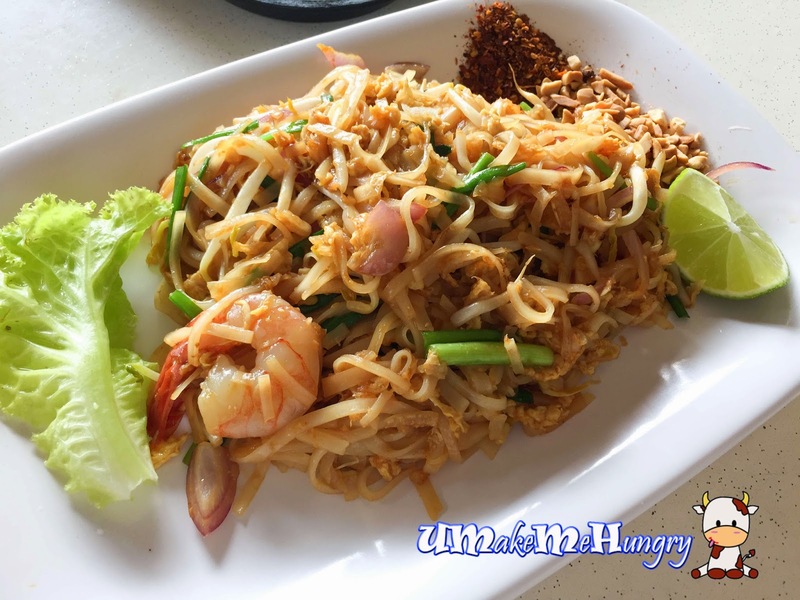 Phad Thai was sweet but was better than what I had expected as most of the cases they were very sweet. 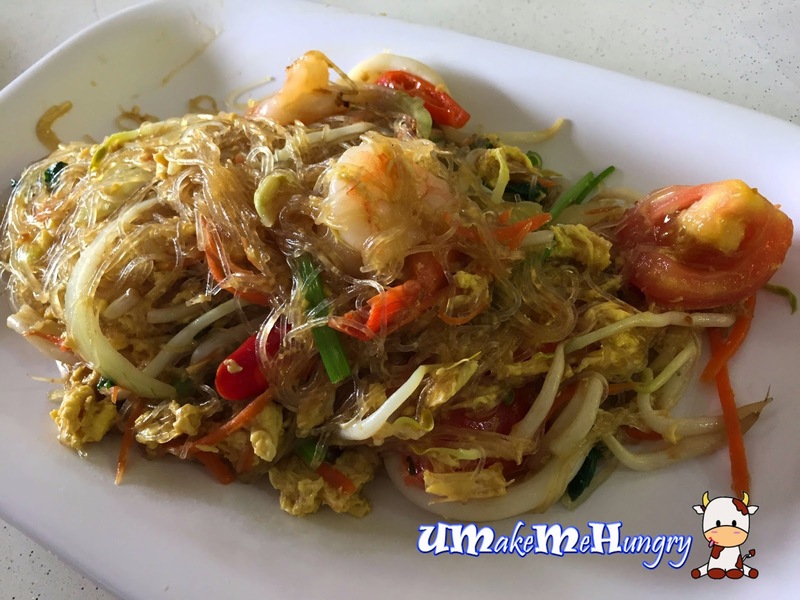 Ingredients are pretty standard, including onions, eggs, vegetables, beansprouts, prawns while chilli flaskes, chopped peanuts and lime placed by the side. 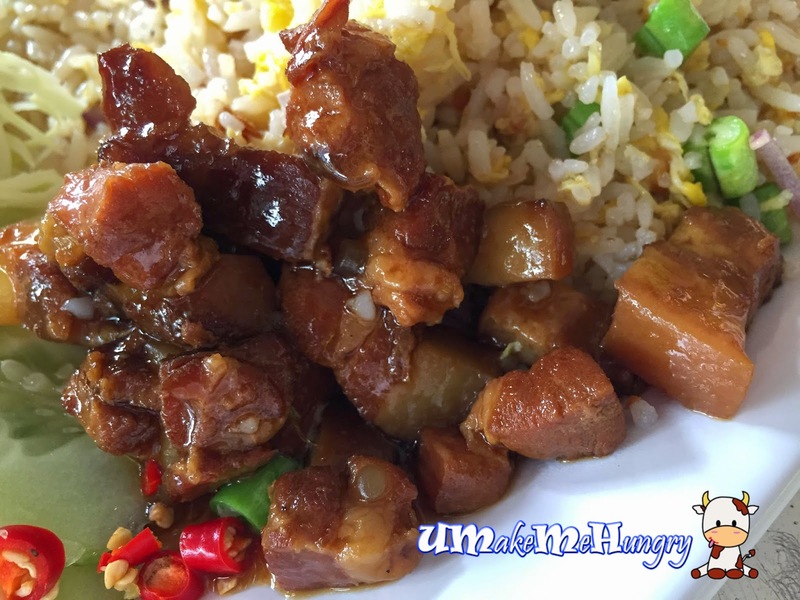 Portion was big with the bowl of of white rice and heap of minced pork meat. Moist and sweet with ample amount of herb taste from the Basil leaves, infusing the little bits of minced meat. Meal is made complete with a fried egg and greens for presentation. Belachan Fried Rice came to us in a surprise as we expect the dish to look at least in red but never did we thought that we have mixed up with sambal belachan. Belachan Fried Rice is actually referring to shrimp paste instead. Portion was huge for a lady, perhaps the rice can be share between 2. 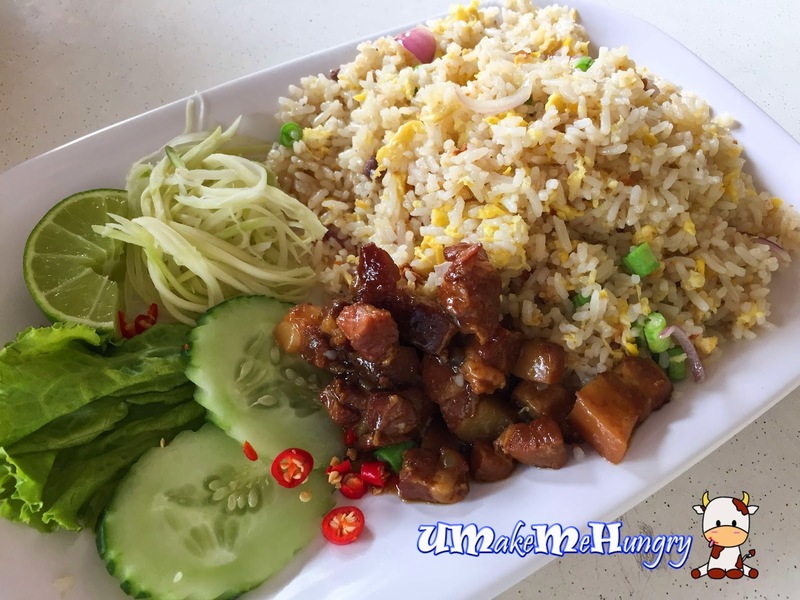 It has a taste of Siam with its eggy fried rice in red onions, braised pork belly meat and mixed vegetables.